Note: Forrester’s Wave report for PIM is also out, available here. Cambridge-Ma based analyst house Forrester Research has released the latest iteration of its influential Identity Management and Governance Wave report. In their 17-criteria evaluation of Identity Management and Governance vendors, Forrester researchers Merritt Maxim, Stephanie Balaouras, Andras Cser, Salvatore Schiano, and Peggy Dostie identified the nine solutions providers whom they consider most significant in the category — CA Technologies, Courion, Dell, IBM, Micro Focus (NetIQ), Oracle, RSA, SailPoint, and SAP— then researched, analyzed, and scored them. In order to help security and risk (S&R) professionals select the right partner for their IAM and IGA needs, The Forrester Wave Report also outlines the current state of the market and separates the top providers into Leaders, Strong performers, and Contenders. The Forrester Wave Report also includes a grid chart with ratings on different components including partner ecosystem, role management, overall solution complexity, strategy and vision, and many more. 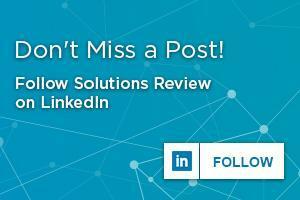 At Solutions Review, we read the report, available here, and pulled a few of the most important takeaways. It’s no secret that the market for identity management solutions is growing fast, and it’s no secret that many IMG providers have rushed to meet that market demand by building their IMG platforms out of acquisitions, resulting in so-called “acquisition architectures” that Forrester analysts say lack flexibility and require increased administration and long deployment periods. Identity management and governance solutions have always been a valuable resource of identity information, but in the past, getting the best use out of that information meant that security pros had to pore over every detail. Not an enviable task. Want to know more about Identity Management? 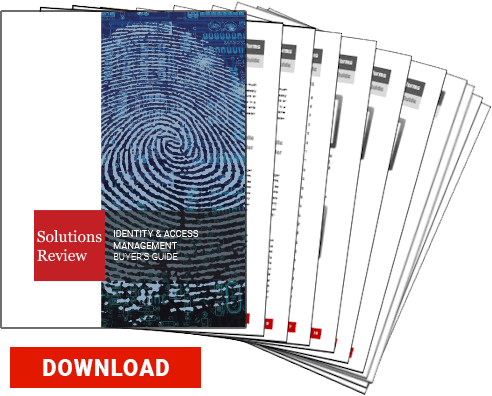 Check out Solutions Review’s all-new 2016 Identity Management Buyer’s Guide, featuring ten questions to ask before purchasing, a full market overview, and detailed profiles of the top 28 IAM companies and solution backgrounds, key features, and best use cases. Download for free here. You may also be interested in the 2016 IAM Fact Book, a new comparative featuring vital data on each company’s maturity and longevity, business model, size, geographic reach, workforce, and more. Download for free here. Interested in CIAM? Check out Forresters new report, The CIAM Market Landscape, available for free here. Great review and excellent document. Note that Microsoft and others declined to participate, so the results are not complete and with slightly different criteria (not all will agree for example that an OEM component is bad) the results would have varied. The best takeaway are the principles stated in this report, and the knowledge that these tenets can be applied whatever platform is chosen – and choice of any given platform does not necessarily prevent the design goals from being achieved. Moreover, when a platform decision is finally made, at least that decision is now that bit more informed than it was previously.